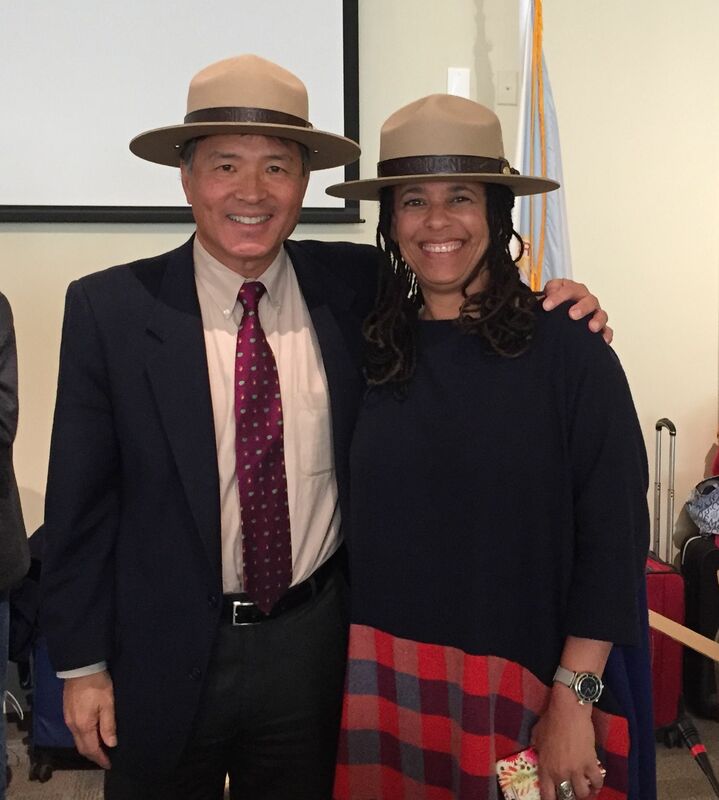 With Prof. Carolyn Finney of University of Kentucky, wearing our NPS “flat hats,” given by NPS Director Jon Jarvis, at a meeting of the advisory board. I serve as board chair for the Panasonic Foundation in Newark, NJ, which has supported equity work with school boards, superintendents, and district leadership teams. With Panasonic North America’s move to new headquarters in Newark, we are integrating our programs more closely with their STEM expertise and employee volunteer program to support Newark students. I serve on the board of trustees at Sesame Workshop in New York, where I began my career. The Workshop is developing new revenue streams, investing in educational media start-ups, and, with the International Rescue Committee, received the MacArthur Foundation $100 million award to provide early childhood education in refugee camps. I’ve chaired the advisory board at the Fred Rogers Center at St. Vincent College in Latrobe, PA. I was fortunate to have met Fred through our work in public TV and advised him on the creation of the Center, where I continue on the advisory board. I am a member of the General Education Council of Western Governors University, an online university founded by 19 western Governors to offer more affordable, online programs. The Gen Ed Council advises on courses and outcomes for all WGU students. For seven years, I chaired an education committee for the National Park System Advisory Board. This board, appointed by the Secretary of the Interior, served under Secretaries Salazar and Jewell. NPS Director Jon Jarvis elevated the role of education in National Parks, making it part of NPS’s formal mission. In early 2018, most of us resigned after not being convened by the Trump Administration. Our resignation was covered in this segment on HBO Vice News. I have served as a board member of the California Emerging Technology Fund, a nonprofit designed to bring the benefits of laptops and broadband connections to students and families in low-income communities. The $60 million Fund was established by the state Public Utilities Commission as a public benefit from the mergers of telecommunications companies.